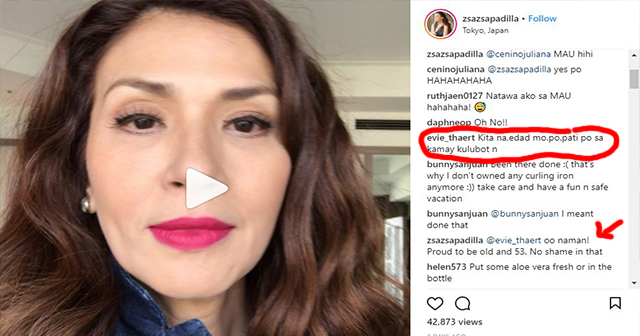 Zsa-zsa Padilla Sinagot ang Ilan sa mga Basher nya na Nagsabing 'Kulobot na'? Age may be a number, but along with it, our body changes too. For celebrities, their looks are their investment so they do their best to maintain their body and looks the best they can. 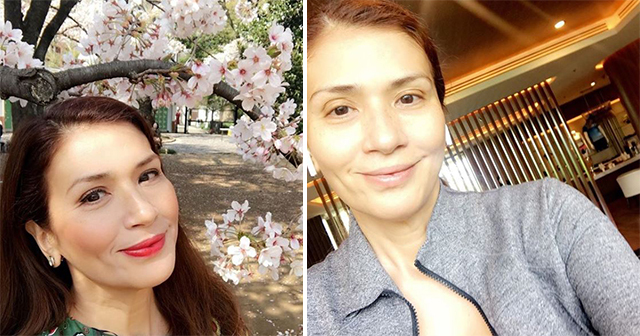 So when the veteran actress, Zsa Zsa Padilla was bashed because of her aging looks, the Kapamilya star proved that while wisdom does not come with age, age is the price of wisdom. It was also her answer when some of her Instagram followers, left comments on how her wrinkles are visible in a selfie video she posted on the app over the weekend. In the selfie video, she showed the aftermath of her accident while using a hair curler. But as she shows a closeup of her face, the netizens were also quick to catch a glimpse of her hands- which immediately became the target of a follower’s unkind comment. "Kita na edad mo. Pati po sa kamay kulubot na." The follower criticized. But Padilla who remained unbothered about the remark responded: "Oo naman! Proud to be old and 53. No shame in that." The criticism continues as there was an even nastier comment about Padilla, claiming that the veteran singer is supposedly hiding her age though makeup and cosmetic surgeries. But once again, she didn’t fail to deliver a classy comeback that got some cheers from her other followers. "No matter how much make-up you put in your face, and how many retokes Vicki Belo make to you, you really can't hide your age. Look at your hands." Her critic commented. "Please don't shame me foraging. It's a natural process I'd like to enjoy going through. One day, you may be lucky to grow old yourself and realize, it's not as bad as you perceive it to be." She added. Zsa Zsa Padilla, whose already in the showbiz business for four decades, remains active on screen and stage. She was recently on the primetime series “Wildflower” which finished in February, as an antagonist. Padilla was the partner of the late king of comedy Dolphy for two decades until he died in 2012, She is now in a relationship with architect Conrad Onglao. She’s now contented with life with her three daughters: Karylle, with Modesto Tatlonghari; and Zia and Nicole, with Dolphy. With her age, Zsa Zsa is surely not afraid of her wrinkles, she was rather excited to explore this new chapter of her life with her loved ones. After all, She ages like a fine wine.